Garry Moore has a long musical history. A singer, songwriter, musician, and producer. He wrote his first song at age 12 and now has a catalog of over 700 songs. Garry began his musical journey at age 9 when his grandmother formed a gospel quintet of 3 cousins, a friend, and himself. He was the lead vocalist of the young group. Being influenced by the Beatles he picked up the guitar at age 9. His father also played which inspired him as well. As he grew older he sharpened his guitar skills listening to Carlos Santana, Jimi Hendrix, George Benson, Al Mckay, and other guitar greats. His gospel influences as a teenager were Andrae Crouch, The Mighty Clouds Of Joy, Rance Allen, and Edwin Hawkins. Secular musical influences were Earth Wind & Fire, The Commodores, Sly & The Family Stone, The Jackson 5, and Stevie Wonder. At age 19 he formed the group New Joy. One year later they recorded their first (45) single the following year in 1980 on the H.S.E. record label in Nashville Tennessee. Four years later he and the group recorded their first Album (1984) with a change in the personnel and with a new name "FIRE POWER" The group opened up for artist like the world renowned Grammy award winning group The Mighty Clouds Of Joy and The Williams Brothers. The group continued to do concerts and record in the studio during the 80's. in the early 90's Fire Power disbanded while in the midst of their 2nd studio album and the material was never released (Until 2011). In 1997 he recorded and released his first solo Cd album titled "You're Never Alone". He then followed up that project 4 years later in 2001 with a Cd album titled "Yahweh" which rendered the number 1 radio Hit Single "Come As You Are" Several songs from the album received heavy rotation also on college stations. After a long hiatus of 8 years from the music scene "Paradise" was released by T.M.G in 2010. Garry's 4th album was released June 10th 2011 titled "A Blessing For You" which won him the Indie Music Award for "Best Male Gospel Artist" in October 2012. He released his 5th album titled "Breakthrough" Which won him Best Gospel Music Producer Of 2013 for the song "God Is So Good" a Nomination Certificate Award for Best Album Of The Year. And a Nomination Certificate Award for being nominated 12 times in 11 categories. Garry Moore's 6th album "Hero" was released in May 2014. The single "I Can't Live Without You" from "Hero" won Garry The Indie Music Award for "Best Male Gospel Artist" of 2014. Seven songs from the album were nominated for music awards. Garry Moore's 7th album was released in June 2016 titled "Triumphant (Volume 1)" which 3 songs were nominated for music awards. "Stand Up And Clap Your Hands" "Whiter Than Snow" and "You Get The Glory" the Song You Get The Glory" won The Akedemia Music Award for Best Christian and Gospel Song. 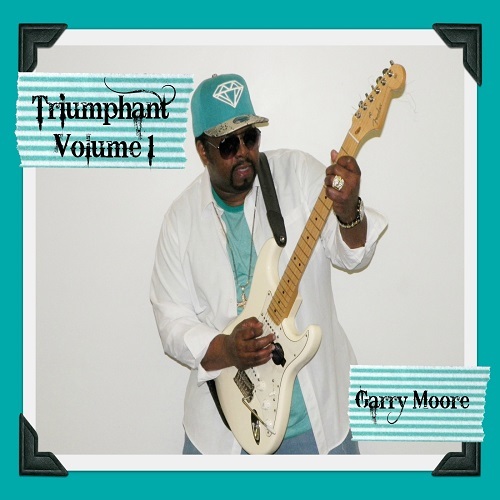 Garry Moore's 8th studio album "Triumphant (Volume 2)" was released August 2017. The single first single from the album "What You Come To Do" was nominated for 2 Indie Music Channel Awards and won The Akedemia Music Award for Best Christian and Gospel Song. The second single "Born Again" also won Best Hip Hop Gospel Song. "God Is Bigger" the third single won The Radio Music Award for Best Gospel Artist in 2017 and also won the Indie Music Channel Award for Best Gospel Producer in 2018. Garry Moore's 9th studio album 'Eternal' was released October 2018 which debuted at number #14 on The Billboard Top Selling Gospel Albums Chart. All of Garry Moore's music is available on iTunes, Amazon, Spotify, Googleplay, Rhapsody and all major mp3 stores worldwide. IMP Your song 'You Get The Glory' has just been added to Follow Radio station! IMP Your song 'You Get The Glory' has just been added to Hood Tales station! IAC Your song 'You Get The Glory' has just been added to Smile About It station! 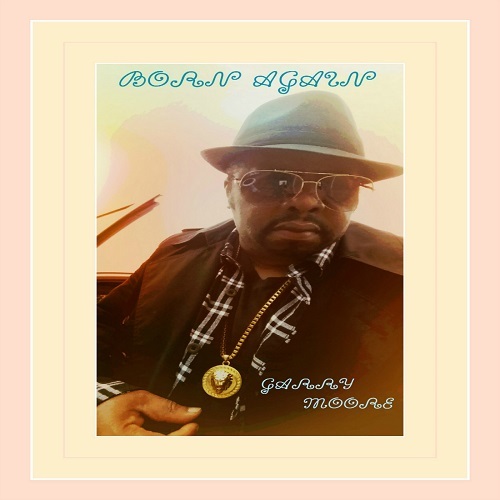 IMP Your song 'Born Again' has just been added to Follow Radio station! IMP Your song 'I Can't Live Without You ' has just been added to Follow Radio station! IMP Your song 'Spanish Nights' has just been added to Follow Radio station! IMP Your song 'Love Will Get Us There' has just been added to Follow Radio station! IMP Your song 'Spanish Nights' has just been added to Desperado Revue 2019 GK Contenders station! 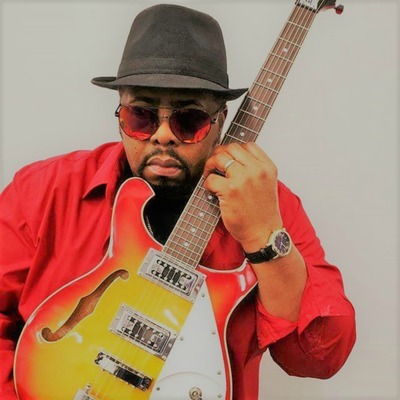 IMP Your song 'Love Will Get Us There' has just been added to Desperado Revue 2019 GK Contenders station! IMP Your song 'Spanish Nights' has just been added to Desperado Revue Vol. 2 station! IMP Your song 'Love Will Get Us There' has just been added to Desperado Revue station! IMP Your song 'Love Will Get Us There' has just been added to Hood Tales station!